Here is the riveting story of the English language, from its humble beginnings as a regional dialect to its current preeminence as the one global language, spoken by more than two billion people worldwide. 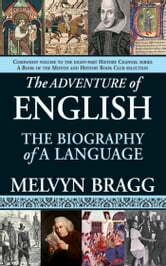 In this groundbreaking book, Melvyn Bragg shows how English conquered the world. It is a magnificent adventure, full of jealousy, intrigue, and war—against a hoard of invaders, all armed with their own conquering languages, which bit by bit, the speakers of English absorbed and made their own. Along the way, its colorful story takes in a host of remarkable people, places, and events: the Norman invasion of England in 1066; the arrival of The Canterbury Tales and a “coarse” playwright named William Shakespeare, who added 2,000 words to the language; the songs of slaves; the words of Davy Crockett; and the Lewis and Clark expedition, which led to hundreds of new words as the explorers discovered unknown flora and fauna. 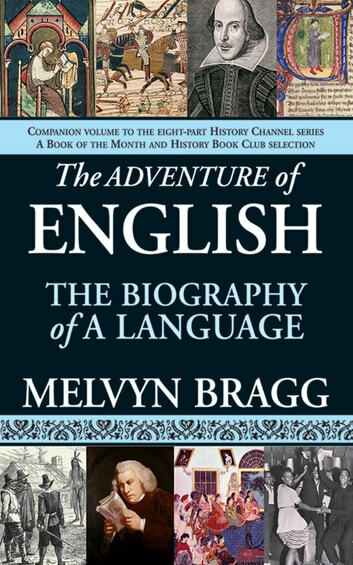 The Adventure of English is an enthralling story not only of power, religion, and trade, but also of a people and how they changed the world.